This coat is sure to elevate your everyday wardrobe. 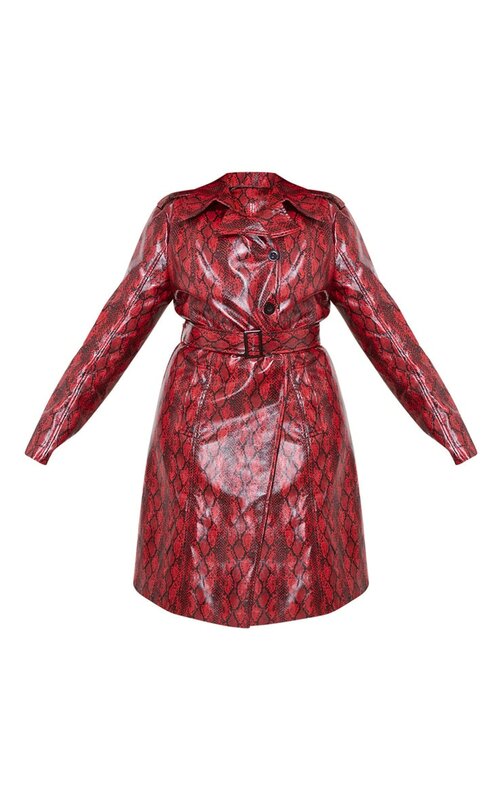 Featuring a red snake vinyl material with a silver buckle waistline and a simple trench design, we are obsessed. This statement style is sure to elevate any outfit.